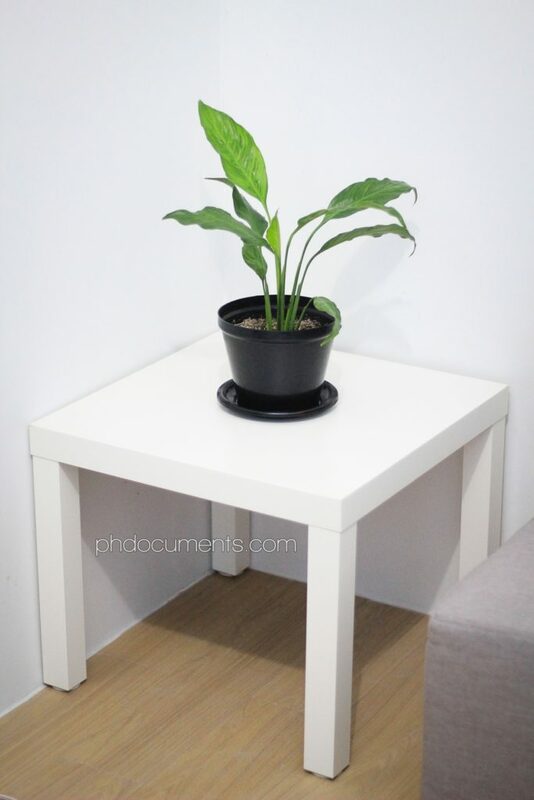 Where to buy IKEA furniture in the Philippines? I never really understood the obsession towards certain types of furniture. Even when I was studying Architecture in college (we had three units dedicated to interior design), I was not focusing on a furniture’s value as I see it as a mere accessory. I did not get it. Not until I found myself looking for pieces for my home! Before I moved in, I already had a plan in mind on how I would want my space to look like – a warm, cozy, café-themed interior. Of course, things didn’t go as planned. I don’t have the budget to hire a professional, and I had to make peace with the fact that I wouldn’t be able to complete everything at once. I comforted myself by looking at interior design inspirations almost every day. 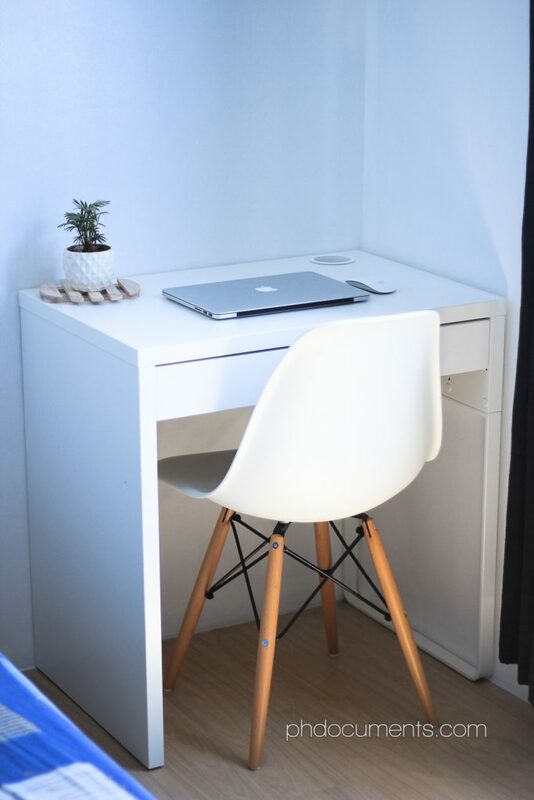 My feed in the Pinterest account that I created for my blog went from displaying Pinnable images for blogging and budgeting, to photos of someone else’s home. And I found my taste on interior design gradually changing. All walls and ceilings in my unit are painted white and I didn’t like it at first. I tried looking for a paint color that I like but I couldn’t decide on any. Wallpapers caught my eye and I thought I’d be covering my walls with those. But when I finally learned the name for the style that I was slowly falling in love with, I thought the all-white enclosure is meant to be. The Scandinavian interior fits my personality – it is simple, clean and neutral. I don’t want a lot of things going on, I live by van der Rohe’s “Less is More”. So while I still have plans to install wallpapers in the future, I am making the most of my white walls for now. I have just started buying furniture and after looking at thousands of Pinterest and IG images, it looks like IKEA is the way to go! 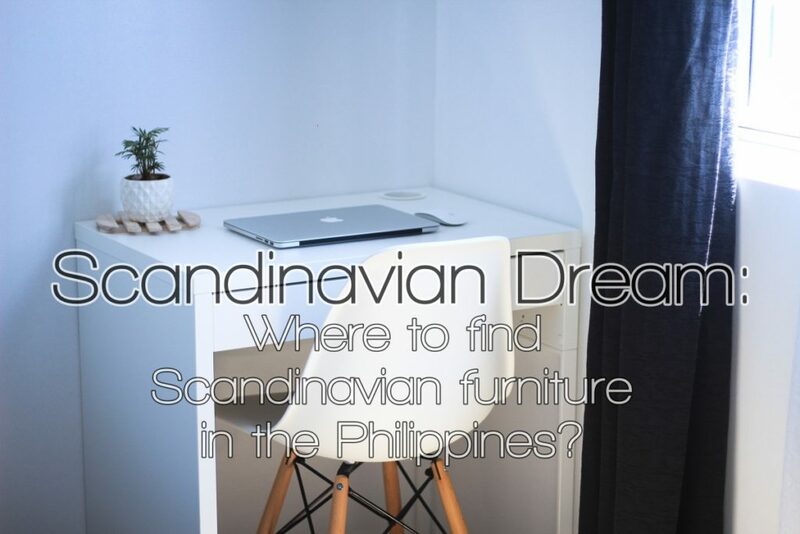 There are several Scandinavian furniture stores here in Manila, but mostly “high-end” which you could tell by their locations alone. On the other hand, a majority of the Scandinavian spaces that I see online are furnished with IKEA pieces. Why not? Their products are almost all in white and neutral colors. Above all, they’re affordable! The problem is, there is no IKEA branch in the Philippines yet. I had to find out where Pinoys are buying their IKEA furniture, and after some Google searches, I was led to the following stores. 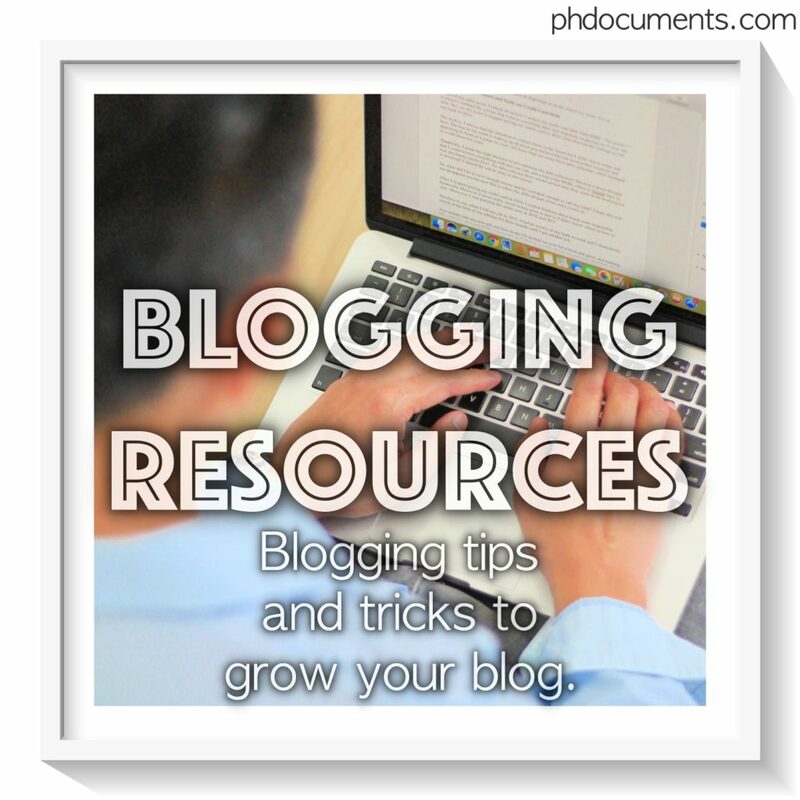 You can look them up on Facebook and Instagram, their social media feeds are well-maintained. I ordered a personal work table and chairs here. I’ve been eyeing on these chairs since I first saw one on a window display a few years ago, and when I found it on Furniture Source’s online sale, I immediately clicked Add to Cart! I was disappointed with their order processing though. It took them two days to get back to me for the instructions on how to pay for Shipping and Assembly fees. I also learned that it will take them another week to ship the items. I live just 5 km away from their warehouse so I find their P750 delivery fee quite unreasonable. And the P550 assembly fee? I’ll make sure to assemble my purchases myself next time. I just love the chairs so much that I got scared to put the parts together on my own. (Whoever is handling their Viber account needs to find another job not related to sales and customer relations. They are so detached from their customers by the manner that they are responding – very impolite, no empathy, no connection at all. Their customer service is definitely NOT a reflection of their impressive, well-captioned Instagram posts. This is common with stores being frequented by celebrities, and for this case, interior designers. They tend to develop a bias towards their famous customers that they would treat regular customers differently. As “normal” people, we know who gets all the best treatment. I say they have the most complete selections amongst other stores, but you’ve been warned! My apologies if this is almost a “Furniture Source Philippines Review” post). It took me a while to figure out that their shop is just a kilometer away from my place. This is because I found their sister company’s Facebook page first (Lulu Furniture Philippines) and their location is not published, you can’t find it in their “About” or comment sections. Anyway, talking about bringing my business somewhere else. I like Furniture Source, they have an outstanding social media presence but their customer service is a huge disappointment. 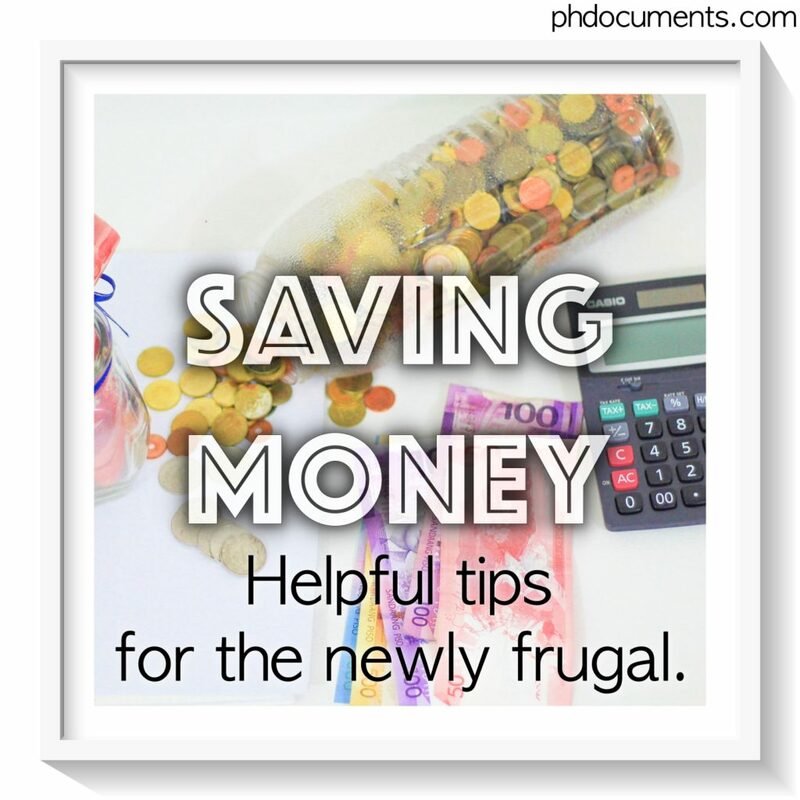 And because I’m on the topic of saving money, I am factoring-in every cent when I make a purchase, so saving on delivery fees is very very attractive! Doozy Furniture has cheaper shipping charges and is not a flat rate which is unfair if your location is very close. I collected these stools from Doozy less than 24hours after messaging them on Facebook. I asked them to kindly also reserve the side table if it’s available and advised that I’ll be in their store at 11 AM the next day. I got there five minutes before 11 and I immediately saw my orders already neatly stacked near the counter. Note that these were not paid in advance, so them trusting me to actually show up is just awesome. I got all three for only P3,198 so I’m sure it’s a different story if we’re looking at an over P10k order, nonetheless. 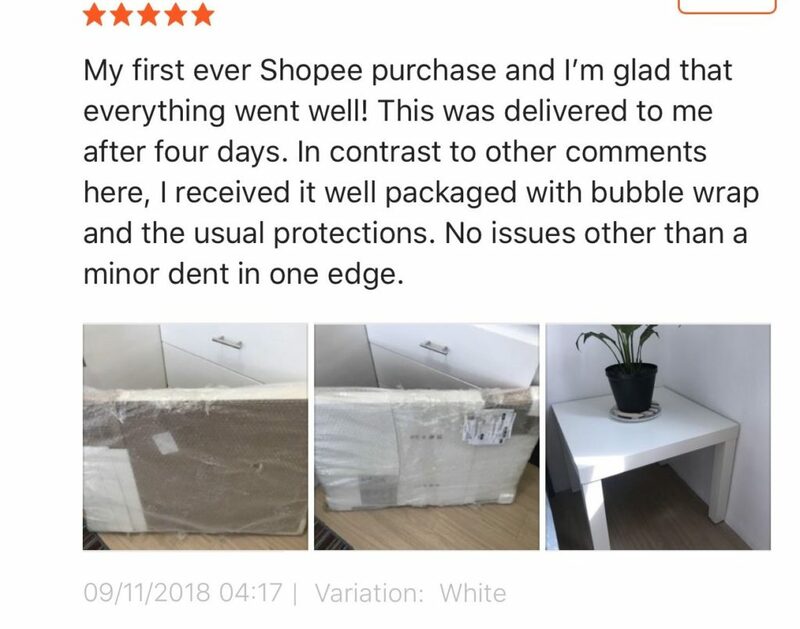 The good thing about Shopee and Lazada is that you could easily compare prices, and the customer ratings and reviews will help you make your decision. 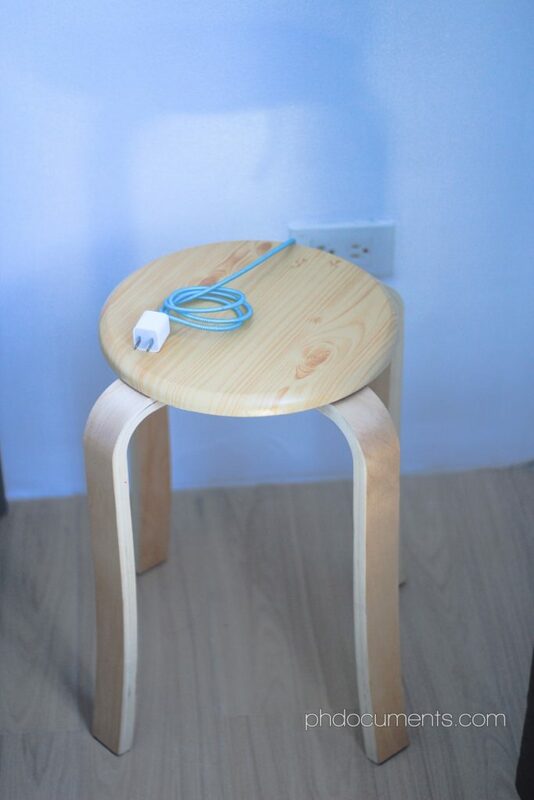 I was switching between these two apps for a few days, and when I found this side table being sold at the same price as Furniture Source, I made my first Shopee purchase. The best part is, the delivery fee after the discount is only P95! That’s P655 cheaper than Furniture Source, and arrived eight days faster! 1. connerfurniture (Instagram) – They are still new and in fact have just opened their showroom. It looks promising, and I hope they won’t follow Furniture Source’s example in dealing with customers. But based from their replies to my inquiries, it looks like they do. 2. ScandiHomePH (Instagram) – By their IG handle alone, we already know what to expect. They may have what you’re looking for. 3. thedenwoodpanels (Instagram) – Highly recommended. They don’t sell IKEA pieces, but if you love all things in natural wood finish, they have the perfect offerings. The best part is, everything can be customized. They politely respond to messages, and ordering is quick, they only require a 50% deposit. I ordered my dining set from them (see below). 4. ikearesellerph (Instagram) – This seller is shipping IKEA products from Thailand to the Philippines. You simply need to check IKEA Thailand’s catalog and ask how much she would sell it for. 5. mobelph (Instagram) – Another IKEA personal shopper. 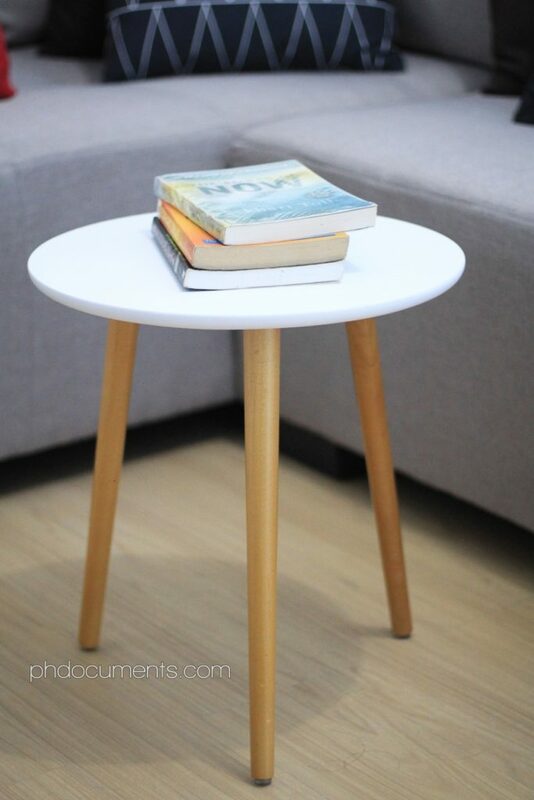 6. hefurniture (Instagram) – Their IG account is also worth checking. 7. 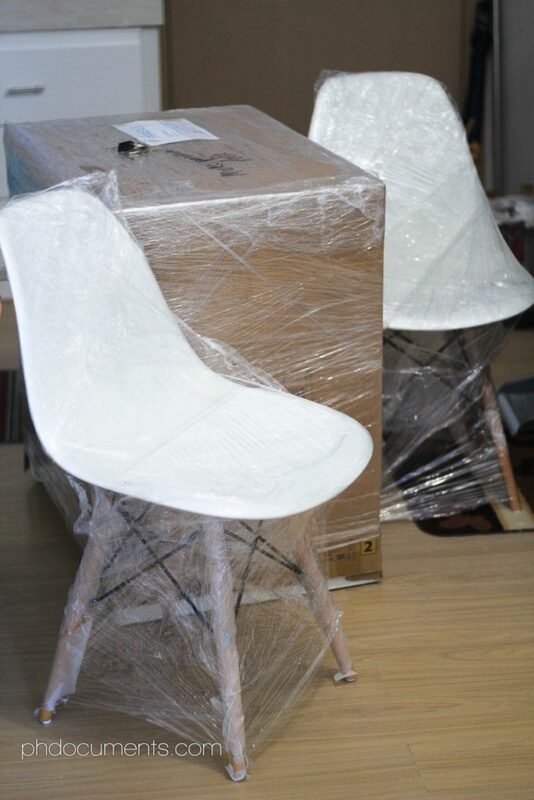 Lulu Furniture (Facebook) – As shown above, I got my stools and side table from them. Not all of them posts prices and other product details, so you may need to scan the comment sections to look for those information, or send them private messages to inquire. When it was time for me to get a dining table, I did not want a set. 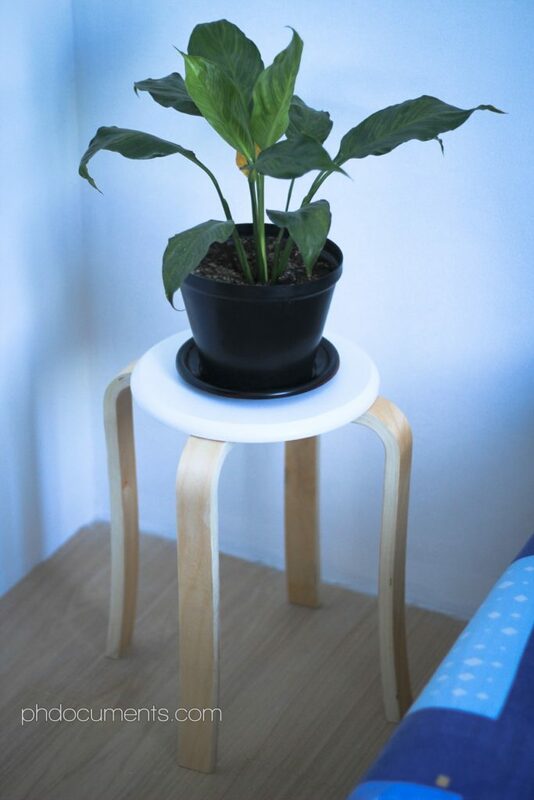 I initially wanted a foldable table, but when I saw it in a showroom, it was way bulkier and heavier than I thought. I then looked at a different model and decided to get the 80x80cm version of an Scandinavian dining table. However, all the stores that I inquired from did not have it in stock. And then I found one that includes crates as stools! I immediately contacted The Den Wood Panels and I received a reply in less than an hour. I placed my order two days later, and I couldn’t wait for my order to be delivered! I’ll be updating this post by the end of October. 1. The best deals are on Facebook. If they do not have an active Facebook account, they are not “pang-masa”. 2. Avoid stores or sellers who do not reply to comments or direct messages, that’s a red flag. 3. Surprisingly, it is easier to deal with Shopee and Lazada sellers. 4. Always look at every item’s specifications. I see a lot of customers who are complaining about colors and sizes when these are clearly indicated in the product specifications. 5. Try to visit their physical store or showroom if they have one, and when you do, I recommend bringing a tape measure. 6. Do not try to shop for multiple pieces in a day. That would be exhausting! A few more pieces and I should be done furnishing my home. I hope I’d be able to fill it with all the basics by the end of this year. Lighting and decorating will be my 2019 projects. Are you also into Scandinavian or IKEA furniture? Where are you getting them? I can’t wait for IKEA Philippines to open its first branch!